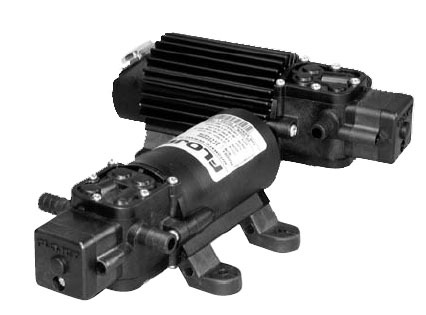 Far and away the best selling small pump in the industry. Choose from standard models or configure to meet the special needs of your OEM application. Long-life (2000 hours typical) motors have either a chemically resistant plastic housing or a metal finned housing for maximum motor cooling. Flojet’s new demand switch plus bypass configuration provides optimum operation and extended cycle-life under any field condition.